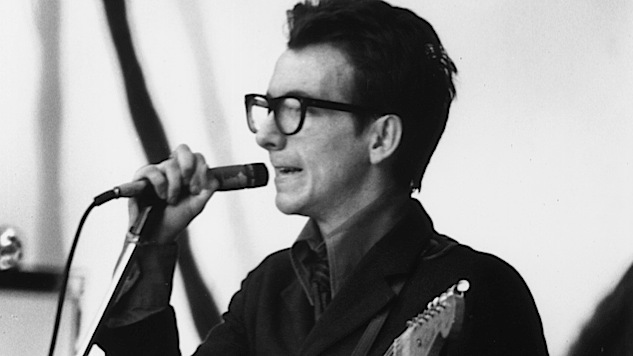 Elvis Costello burst onto the music scene 40 years ago this month with what was then, and is still now, regarded as one of the best rock ‘n’ roll debuts ever, My Aim Is True. To mark 40 years since My Aim Is True’s release, we scoured the bottomless Paste Cloud and found great audio and video footage of Costello performing the songs from the album, mostly on his first American tour in 1978. Costello fostered his angry-young-man persona on stage. It was integral to the album’s mood, too, with songs, being “spat out” with a “very fierce beat.” But there is rock’s first real nerd factor at work, too. Consider “Mystery Dance,” which, rather than bragging about sexual prowess in a way that had long been a rock ‘n’ roll trope, confessed to complete incompetence. “There should be songs to sing for the people who don’t have a voice,” he said in 1989. Let’s start with Costello ripping through “Mystery Dance” at San Francisco’s Winterland on June 7, 1978. He’s joined by his then new band, The Attractions, who would back him capably through various sonic incarnations including soul (“Get Happy”), country “Almost Blue” and Beatlesque pop craftsmanship (1982’s “Imperial Bedroom,” the album that Costello is commemorating this year on tour). This version of Costello’s very first single, “Less Than Zero,” from May 7, 1978, features a fascinating dichotomy of an organ sound right out of a carnival with Elvis’s proto-punk posturing. 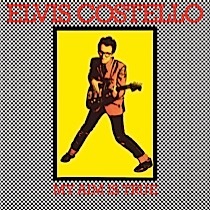 But even then, Costello showed a surprising vocal and emotional range, given how convincingly he pulls off the ballad “Alison,” which only sounds sentimental to the inattentive while giving the album its title. The biggest radio hit on My Aim Is True is a successor of sorts to “Mystery Dance.” “Watching the Detectives,” an organ-heavy ska number in the style of two-toned Brit roots heavyweights The Specials (who actually formed in 1977) shows that song’s singer having moved on to now having a cold-blooded lover who would rather watch television.